Add detachable tabs to your java applications. 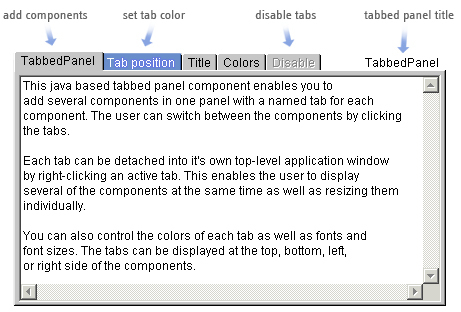 This components places components in tabs, lets the user select between them, and detach them into it's own top-level windows. The tabs can be positioned at the top, bottom, left, or right. The colors and fonts can be set, and images can be added to each tab. 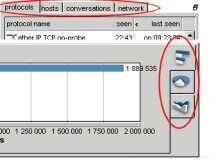 For a great hands-on example of the usage, take a look at our Network Probe product for network traffic monitoring.